We’ve spent the past 26 years helping our customers preserve tens of millions of happy memories, milestones, achievements, and events—all of which have incredible stories behind each and every photo. 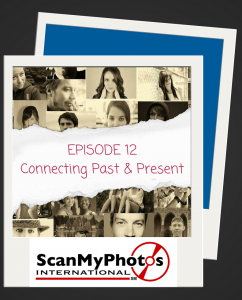 In this week’s episode, ScanMyPhotos customer Max Branscomb, explains how he used photos to show his friends the beautiful connection he had, and always will have, with his late wife. Episode 4: Ain’t Tech Grand? Episode 11: Who’s Been Framed? This entry was posted by Monika Jansen. Bookmark the permalink.